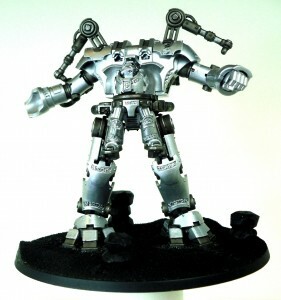 I found the main problem with this model, is the sheer amount of silver! 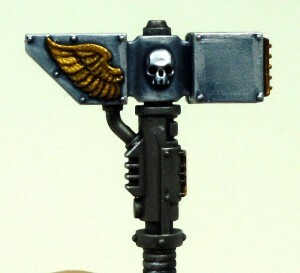 Using different techniques on areas to vary the shades of silver is a must, very few other details, the trickiest bit is probably the sword.. there’s so many ways to paint s words, research a few if you don’t like what i did. 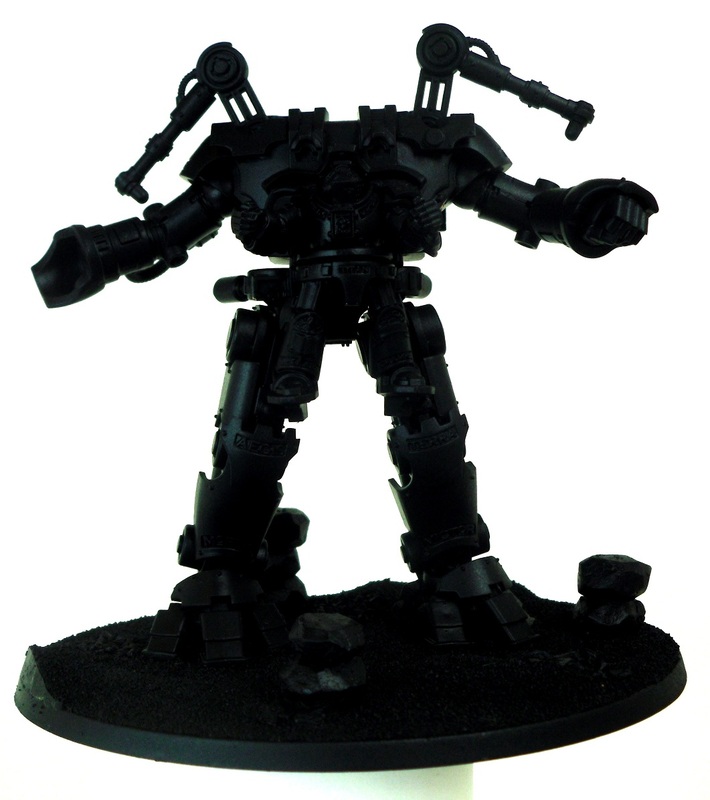 First undercoat the model in black paint, this can be painted on with a brush, but i find this leaves an un-even finish. 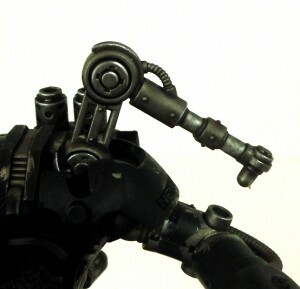 For the professional look I always recommend using a spray-paint, the one i used here is ARMY PAINTER BLACK. 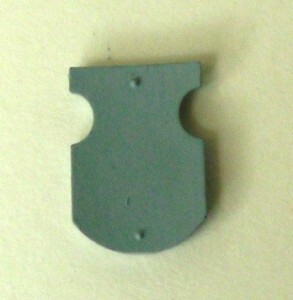 This easily gets into all the little nooks, and gives a great painting surface. 1 – Paint all metal pieces in BOLTGUN METAL, you don’t have to be too neat at this stage, as its the first colour on, and we’ll be painting all the other areas different colours. 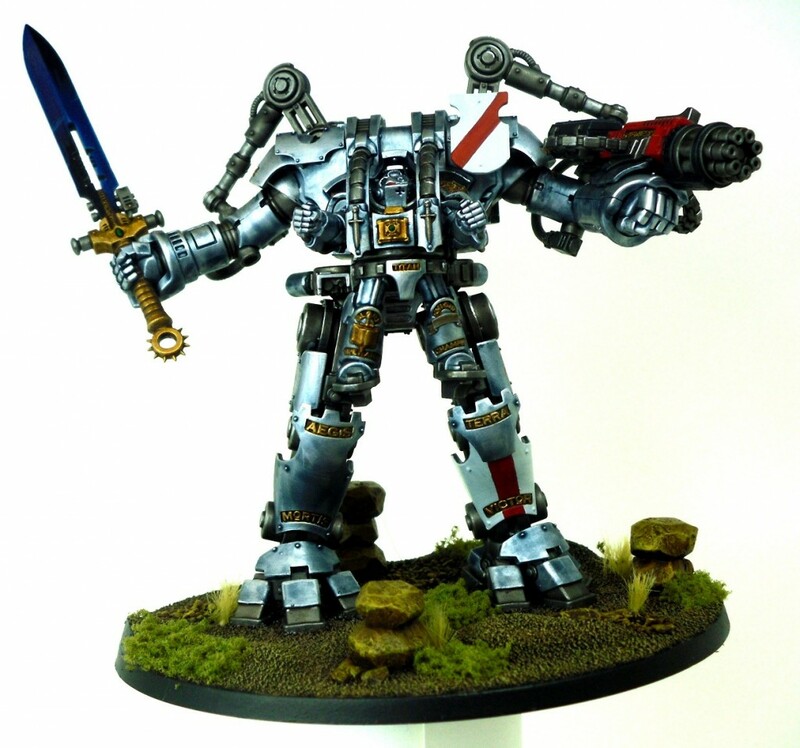 shade makes a good contrast to the silver/blue armour. 3 – using MITHRIL SILVER, edge highlight any sharp edges of the metal, its best to do the upper edges, as it looks like light reflecting from the corners. Also paint any piston parts in this colour, there are a few hidden on the back of the legs too. 4 – Paint over pistons, with a light wash of BADAB BLACK. 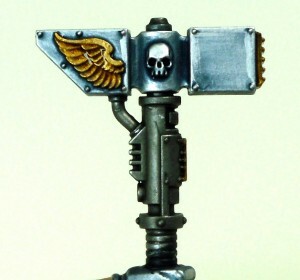 This is the grey knights trademark, so it needs to look right, we’re going for a bright silver with a bluish tint. 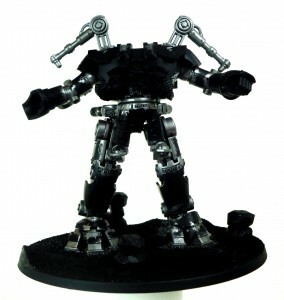 2 – Wash all the armour in a 60/40 mix of ASURMEN BLUE / BADAB BLACK. 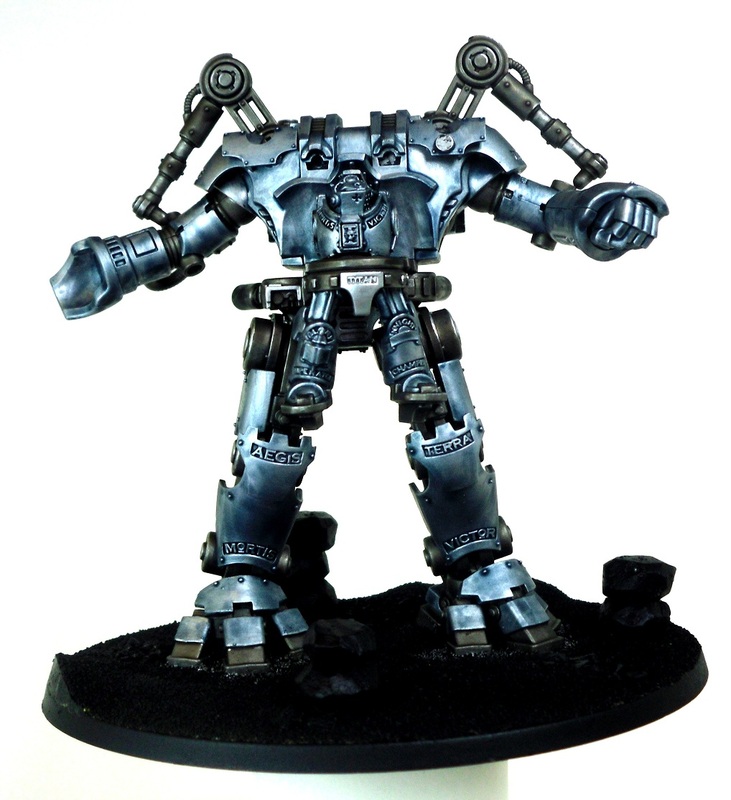 Only a light wash and try to make it as even as possible, so there aren’t patches of wash in the wrong places, its ok to leave little pools around rivets and the in corners, not on the smooth surfaces. 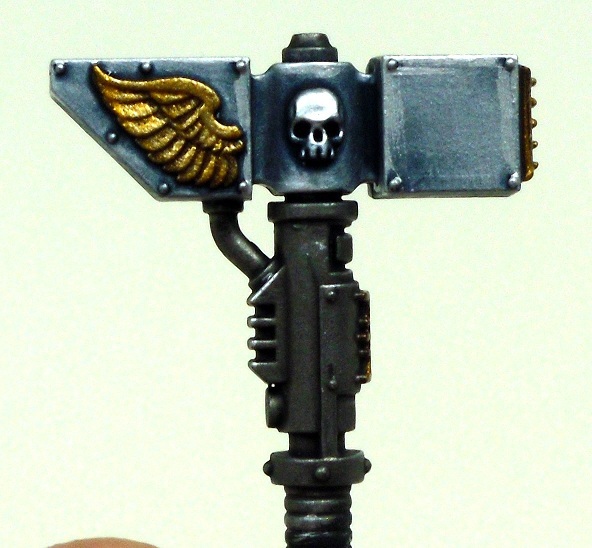 Break up those large silvery areas with some nice shiny gold bits, anything that looks like an embellishment is good to paint gold. 1 – Paint with TIN BITZ, this is a great base for any gold/bronze colour. 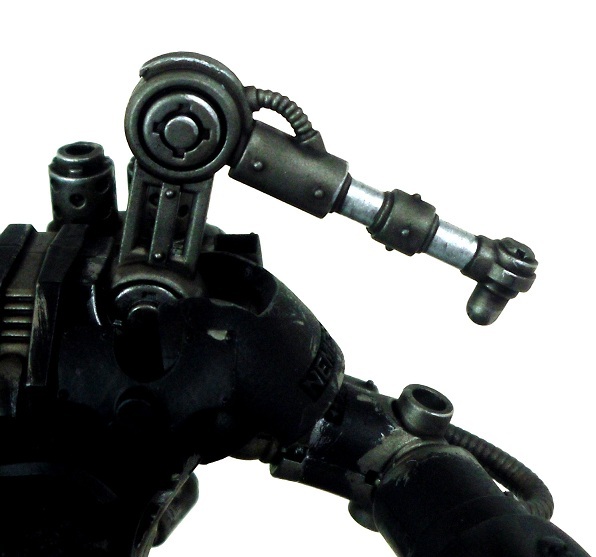 3 – Apply a lighter wetbrush of a 70/30 mix of SHINING GOLD / MITHRIL SILVER, further highlighting these parts. 4 – Finish with a light wash of GRYPHONNE SEPIA, this blends the gold colours together finishing it nicely. 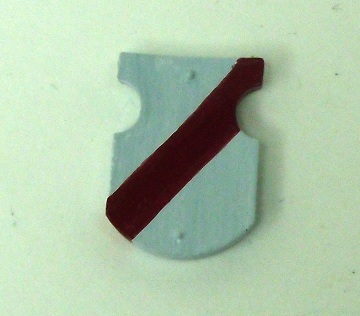 This section covers the white and red areas, white can be tricky to do, but this technique is pretty easy if you take your time. 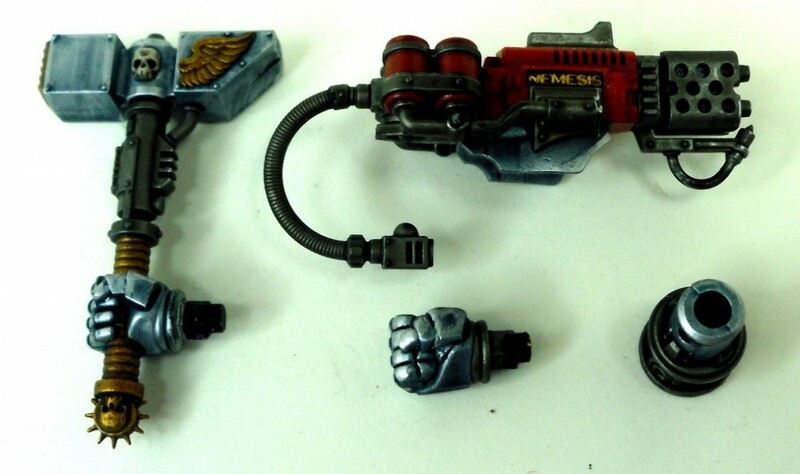 Parts like the guns, are just painted red, while the heraldry plates are first painted white, with red details added over the top, as this is allot easier than white over red. quite look right, as you have no brighter colour to highlight with! 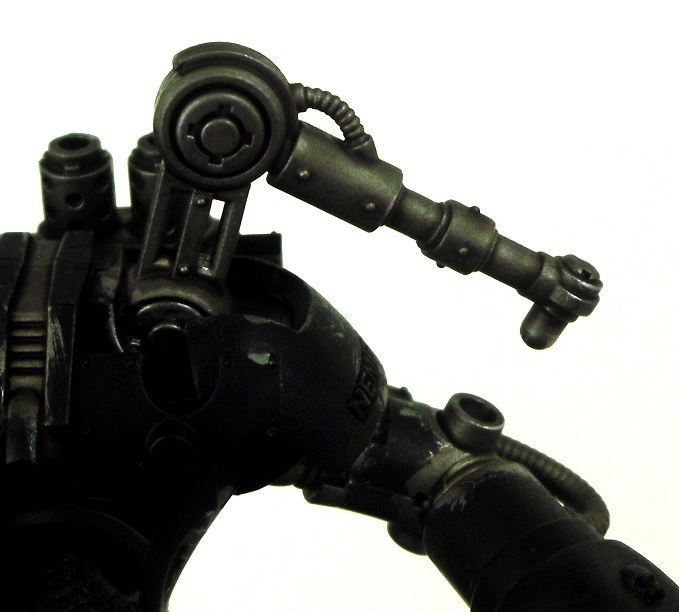 eventually the line should be straight, and a good thickness. 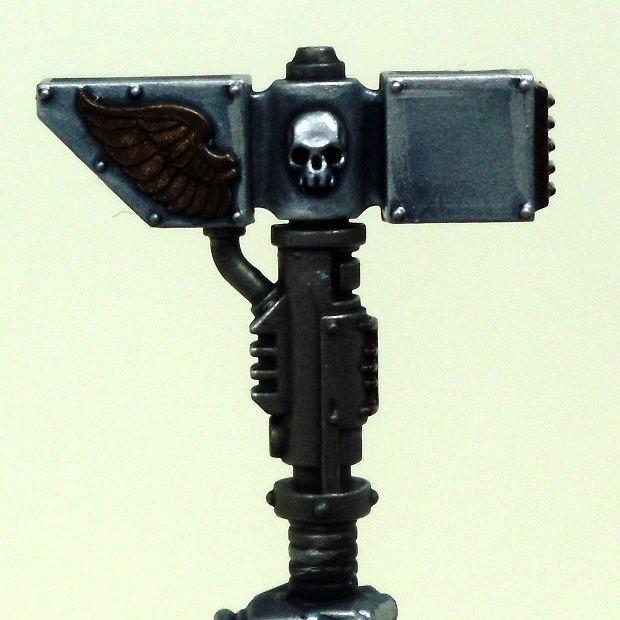 Not many details on this model, the main one is the sword blade, so I’ll go through a few quickly. BLACK – Paint black areas with a mix of CHAOS BLACK, with a tiny bit of ADEPTUS BATTLEGREY. So its not quite pure black, highlight this with pure ADEPTUS BATTLEGREY. 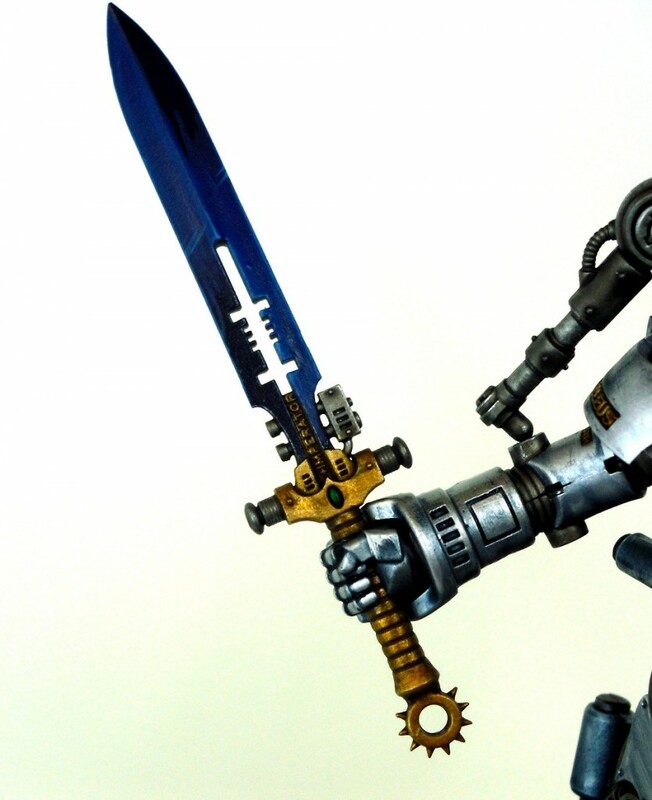 SWORD – The blade was painted by blending colours through NECRON ABYSS / ICE BLUE, i’ll go into more detail on swords in a future guide.